June’s Journe: Hidden Object or simply June’s Journe game is a Free-to-play, adventure Hidden Pictures Mystery Game released by Wooga, the same developer of Pearl’s Peril, Diamond Dash Match 3 and many others.This cool game is available for mobile devices and playable in facebook. June’s Journe game is a F2P, Hidden Pictures Mystery adventure mobile app developed by Wooga for mobile devices with gorgeous graphics, the possiblity to enlarge scenes and many other features. It’s not only fun but it also challenges your mind. 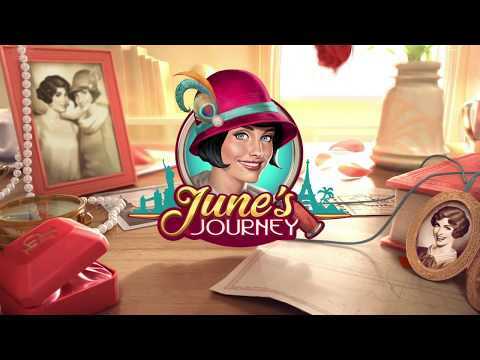 Discover June’s Journey, the brand new hidden object game from the makers of Pearl’s Peril. Find hidden clues and solve exciting puzzles across beautiful locations that draw you right into the heart of the mystery. Surprises at every turn, stunning hand drawn scenes, and a cast of glamorous characters await you in a globetrotting story game. From the heart of 1920s America to the perfect style of Paris and beyond, enjoy a story unlike anything you’ve seen before. In June’s Journey game, with every new chapter, you’ll sink into a world of thrilling mystery and exciting drama in a story to take you around the world. Take a break from the stresses of life, and dive into a mystery game like no other.
. THRILLING PUZZLES: Hidden object scenes, jigsaw puzzles and loads of exciting modes.
. HUGE CAST: Lose yourself in the wild and wonderful characters of June’s Journey, but watch your every step!